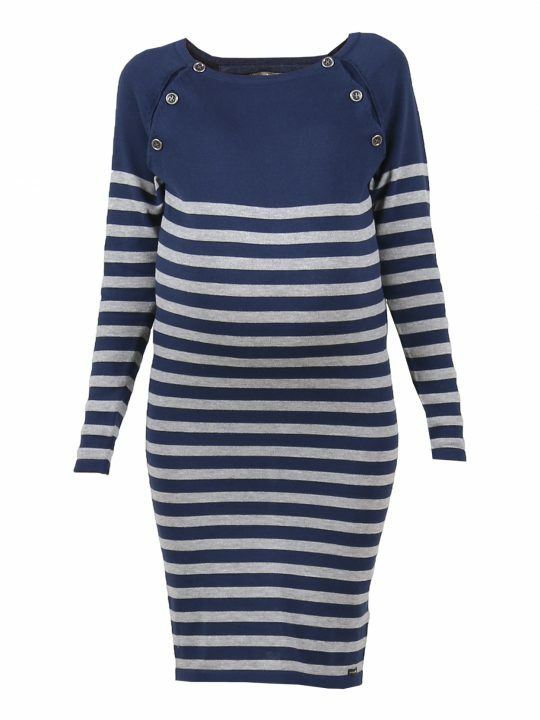 Blue striped nursing and maternity sweater with green contrast cuffs. 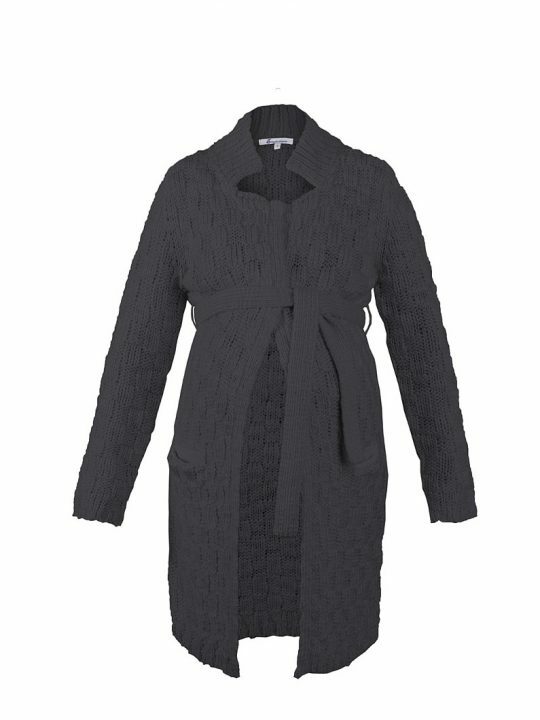 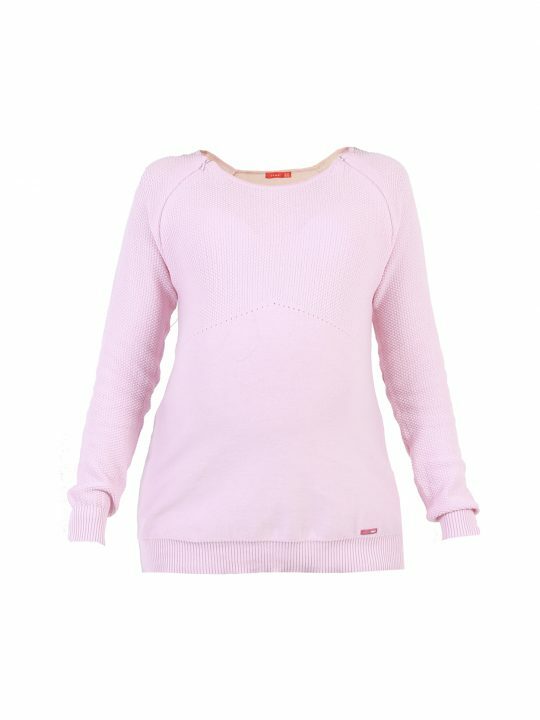 This sweater is such good quality, its made of a fine knit and can be worn across all seasons. 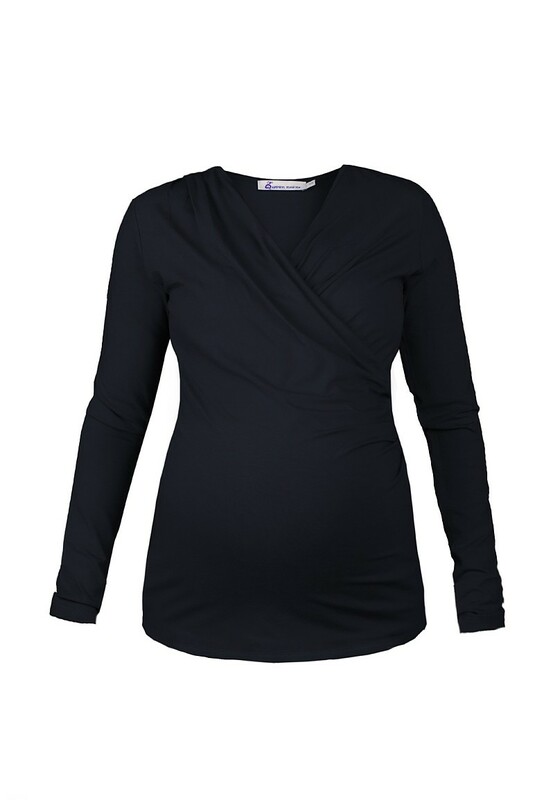 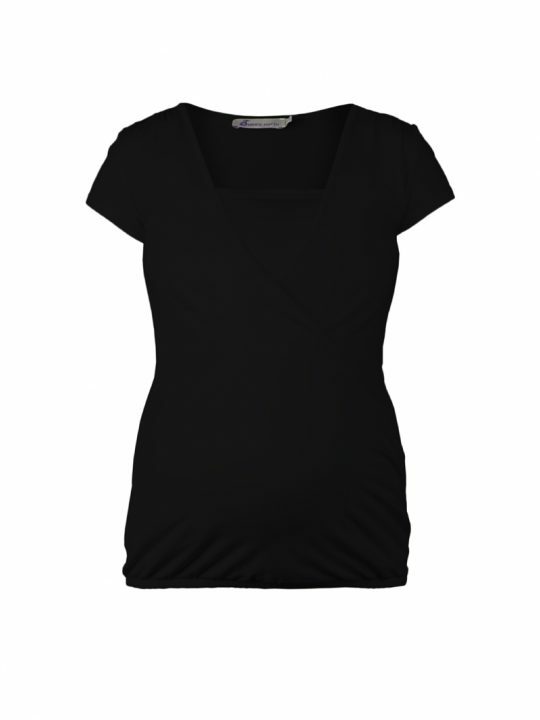 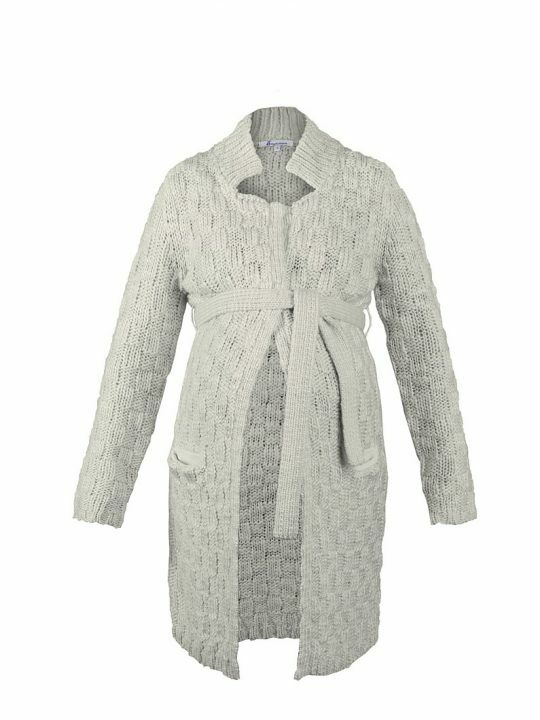 It has brilliant zips on the seams to make breastfeeding easier and would also look great on a growing bump. 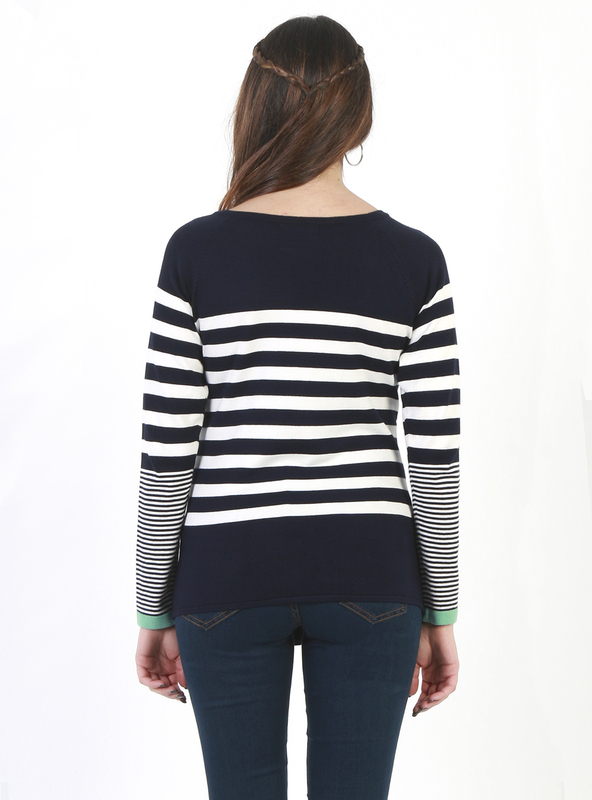 This would look perfect with skinny jeans, with shorts or under our dungarees. 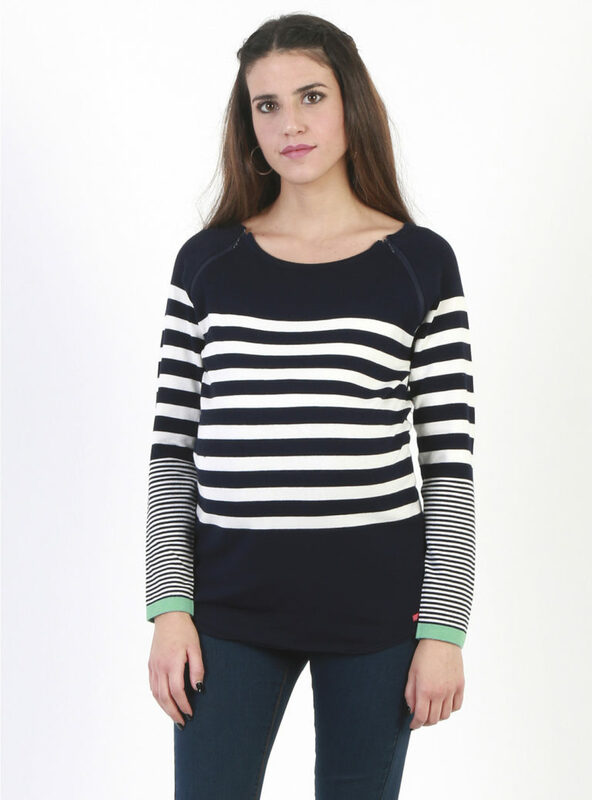 The material is so soft to make for a really comfortable, versatile sweater. 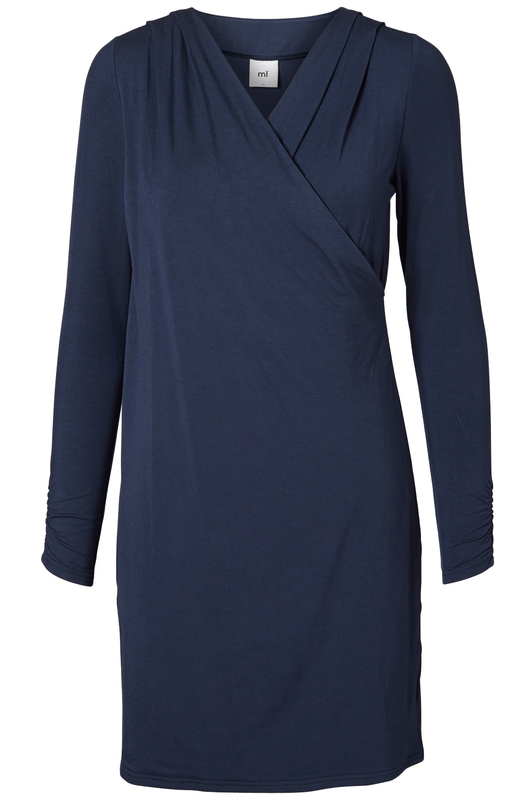 This definitely a firm favourite here!